Cocos nucifera L. (Family Arecaceae) commonly known as coconut, is an important fruit crop in the tropical countries.The objective of this study was to develop coconut chips with different flavours from tall, dwarf and breed varieties of coconut and to evaluate organoleptically. 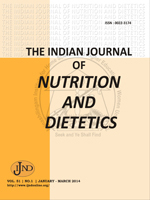 Also nutrient analysis of three varieties of coconut was carried out followed by the shelf life study of coconut chips. Three varieties of coconut were selected namely tall, dwarf and breed. Plain, sweet and spicy coconut chips were prepared from these three varieties and it was compared with that of the standard namely conventional traditional variety of coconut. Traditional variety is most suitable for making plain coconut chips with white pepper flavour (PSV1) followed by dwarf, tall and breed varieties of coconut. Mean acceptability score of sweet coconut chips- osmotic dehydration method (SwSV1) revealed that traditional variety was good followed by dwarf, tall and breed varieties of coconut. Sweet coconut chips prepared without osmotic dehydration method traditional variety was good followed by tall, dwarf and breed varieties of coconut. Traditional variety of coconut chips was good for making spicy coconut chips- white pepper flavour (SpSV1) followed by breed, dwarf and tall varieties of coconut. Spicy coconut chips- chilli powder (SpMV2), traditional variety of coconut chips was good followed by dwarf, breed and tall varieties of coconut. Coconut, Coconut Chips, Proximate Analysis, Peroxide Value.